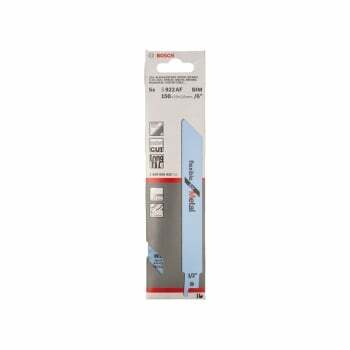 The Bosch S 922 AF Sabre Saw Blades are made from Bi-Metal with a wavy set, milled toothing design. Bi-Metal construction for maximum life and durability. 24 TPI and 5° hook angle provide smooth, fine cuts. Its flexible body provides accuracy and resists breakage. 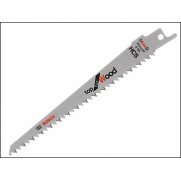 Also ideal for cordless reciprocating saws. Suitable for use with: Thin Sheet Metals: 0.7-3mm; Fine Pipes, Profiles: Diameter: <100mm.